Homeschool/Parent Resources – Scholastic Testing Service, Inc.
At STS we are aware of the need for testing products for the Home School market. Read below to see answers to some of the questions that are most frequently asked by homeschool instructors. I know that the government requires school districts to test students in Reading and Mathematics. But how do I assess my child in other areas like Science and Social Studies? STS offers testing for homeschoolers in kindergarten through grade 12 with our comprehensive Educational Development Series (EDSeries). The EDSeries offers subtests in Reading, Language Arts, Mathematics, Science and Social Studies. Home School teachers can decide whether to assess students in all subtests or selected subtests. As a home school parent, I want my children to have the best education they can. How do I know if they know what they should for their grade level? What can I do to help them if they are struggling? Consider using the QUIC tests from STS. The QUIC tests were designed to offer a snapshot of a student’s competency in math or communicative arts in 35 minutes or less. At the end of testing, a raw score can be converted to a standard score, which reveals if the student is performing at, above or below grade level. The QUIC is available for grades 2-12. For younger students, STS offers diagnostic assessments in mathematics and reading. The Diagnostic Mathematics Assessment (grades 1-3) was designed to measure student strengths and weaknesses in five mathematics subtests. The assessment comes with an Instructional Strategies Manual that offers a detailed wrong response analysis and lists strategies to improve skills that students may be struggling with. The Diagnostic Reading Assessment (grades 1-2) was created to test readiness for second grade reading instruction. Like the Diagnostic Mathematics Assessment, an Instructional Strategies Manual is offered with wrong response analysis and features exercises and suggestions to improve mastery of reading/language arts skills. Many times I can find tests, but I cannot buy them or use them because I’m a homeschool teacher. How can I qualify to purchase tests for my students? STS’ recognizes homeschoolers as educators who are qualified to purchase tests. Our Test User Qualification Form allows homeschoolers to use their state certificate or district certification as acceptable credentials for test purchase. This form must be filled out for all first time purchases. Our form is available in our annual catalog or online. Many of the tests available to homeschoolers are twenty years old. How can I find up to date assessments for my students? STS offers homeschoolers access to many of the same testing products that we provide to schools. We are constantly upgrading our test content so that most of our tests are less than ten years old. Should I pay attention to state and national standards? How do I know that the tests measure what is required? As a testing company, we pay close attention to changes in state and national testing standards to insure that our products are aligned with contemporary requirements. 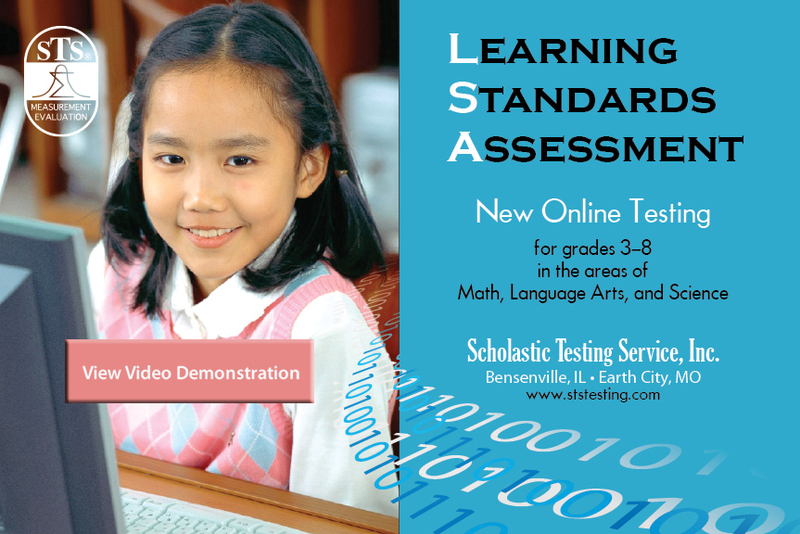 Homeschoolers in the state of Illinois should consider our Illinois Learning Standards Battery (ILSB) because the ILSB is the only Illinois assessment built specifically around the Illinois Learning Standards. For homeschoolers outside the state of Illinois we offer the Educational Development Series (EDSeries) battery. We are currently in the process of aligning the EDSeries battery to the new nationwide Common Core Standards, which will go into effect in most states within the next few years. Homeschool instructors can monitor the Common Core Standards adoption process at www.corestandards.org. How can I test my children for kindergarten and first grade readiness? 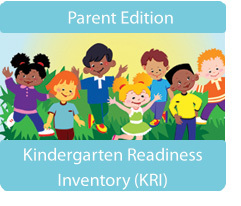 For preschoolers, STS offers the Kindergarten Readiness Test (KRT). The KRT assesses students in six areas to determine if they are ready for kindergarten instruction. STS also offers the School Readiness Test to assess kindergartners for first grade readiness. Both of these assessments are available for use to homeschool instructors. If you have any other questions about STS’ homeschool testing products, please contact customer service at sts@ststesting.com. Should parenting come naturally for most of us who are in the thick of it? Your instincts may be telling you that love and support is all that is needed to help your child succeed. You may also want to consider a different, research based perspective on this topic. Authors Po Bronson and Ashley Merryman discuss their parenting research on their NutureShock blog. The blog also features a new Newsweek article exploring the science of creativity. Visit this link to read more and participate in their creativity tasks partly inspired by the STS’ Torrance® Tests of Creative Thinking (TTCT). To explore more about “the father of creativity”, visit this link E. Paul Torrance at STS’ dedicated Torrance website.